Kids Preschool Learning App with Songs ,Offline Videos and ABC learning rhymes to learn ABC, Numbers, Phonics, Rhymes, Alphabets, Vehicles, Fruits, Shapes, Colors by Kidzooly. All Preschool Learning Songs and Kids Rhymes and Learning Videos are FREE to DOWNLOAD and Available OFFLINE. Kids Preschool Learning app is free to download and kids can benefit from a learning app like this one any time any place with cute music, learnings song, and animations.We have made sure app is kids friendly, free to download and all learning rhymes kids songs free so that any kid with a smartphone can enjoy learning for free and learn the fun way OFFLINE. 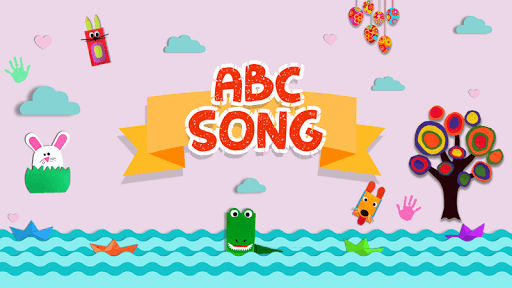 ★ Alphabets : Learn ABC fun way with moving train and nice tune. 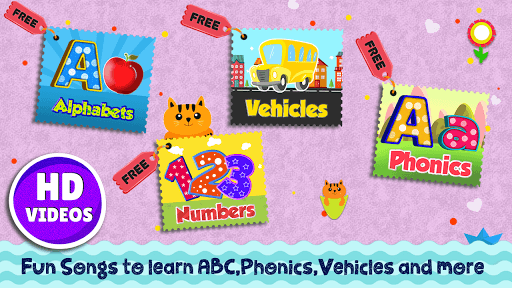 ★ Phonics: Explore the world of Phonics with simple images, nice tune for preschool children and nursery kids. ★ Numbers : Learning number the fun way with song. 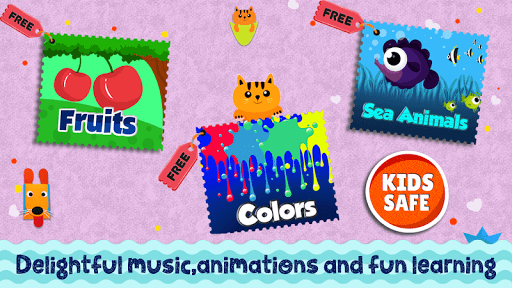 ★ Colors: Enjoy vivid colors and kids music together. ★ Shapes: Explore the world of shapes and understand different aspects of the shapes. ★ Vehicles: Learn more about vehicles like car, train, plane & much more. ★ Rainbow: Introduces your kids to nature's mesmerizing play with colors and enjoy different colors nature has to offer. ★ Fruits: Learn about tasty fruits along with most loved Finger Family Songs. ★ Vegetables: Teach kids about different vegetables and how they look with cute animations. ★ Domestic Animals: Enjoy the Domestic Animals with animal sounds along with finger family songs. ★ Body Parts : Head shoulder and Knees.More fun in learning about body parts and dance with the song. ☀ Ease of access for kids. We are all ears as always. All Preschool Kids learning Songs, videos and Rhymes are FREE .ENJOY the videos and songs OFFLINE any place any time :).